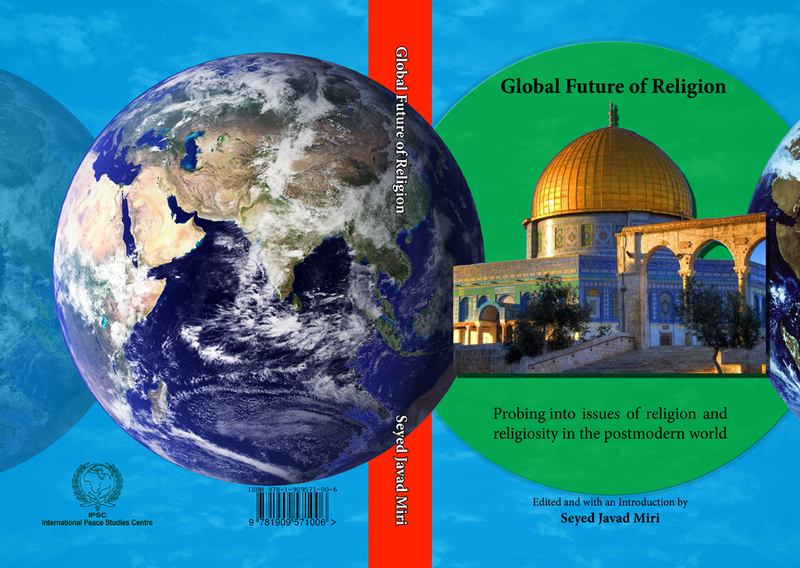 Global Future of Religion: Probing into issues of religion and religiosity in the postmodern world has been published by the International Peace Studies Centre Press (IPSCP). This book is composed of 19 chapters which have been written by 17 distinguished professors from US, Ireland, Azerbaijan, Canada, South Korea, Pakistan, Australia, Finland, Iran, and Nigeria. In this book the authors have attempted to analyze various aspects of religion through their respective field of research. The work is an attempt to catalog the possible future contours of religion and religiosity in the postmodern world. This work is of great use for all students of comparative social theory and anybody who is interested in religion in a multidisciplinary fashion. To purchase a hard copy of the book please send a check for £40 (£30 book cost + £10 post and package) for the International Peace Studies Centre to 121 Royal Langfrod, 2 Greville Road, London NW6 5HT, UK and send an email to info@peace-ipsc.org indicating the number of copies required, your name and address and confirming the check being sent.